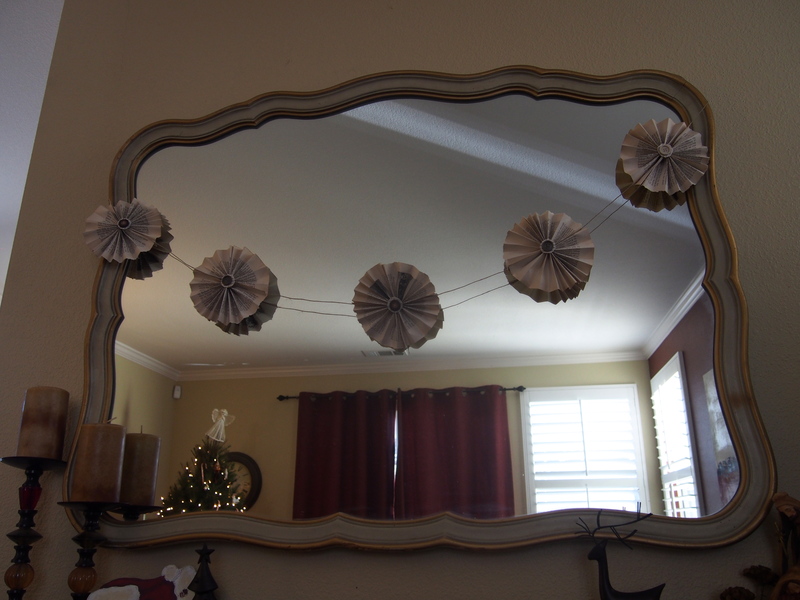 I loved this craft because it was so simple and rewarding- you probably already have all the things you need- paper (i used book pages), string (you could use twine, ribbon, etc. 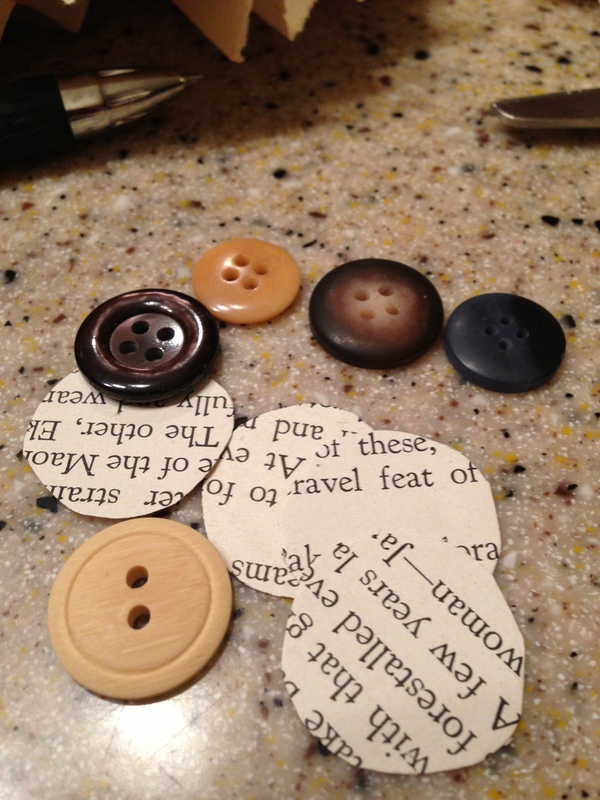 ), hot glue, and if you want a cute button. Talk about a great gift idea! 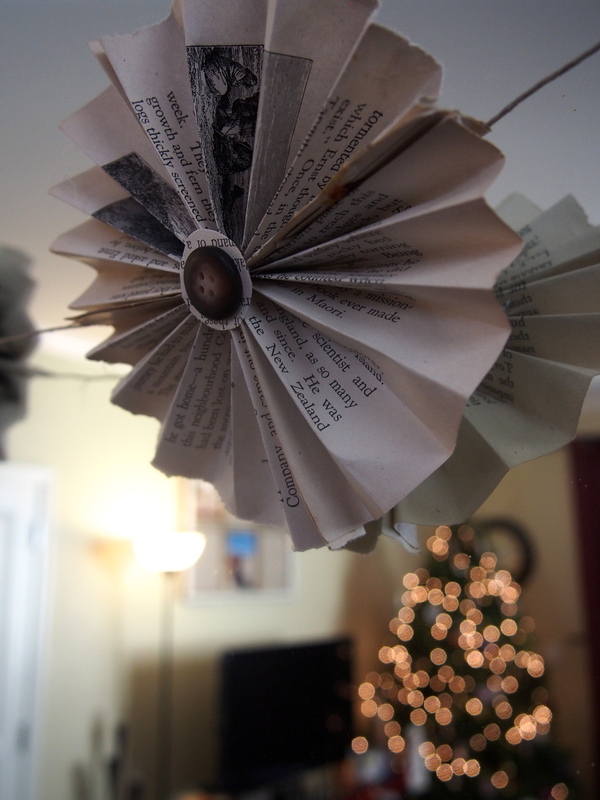 You can make these pinwheels as a wreath, put on top of your christmas present for some extra flair, use as ornaments or make a garland. 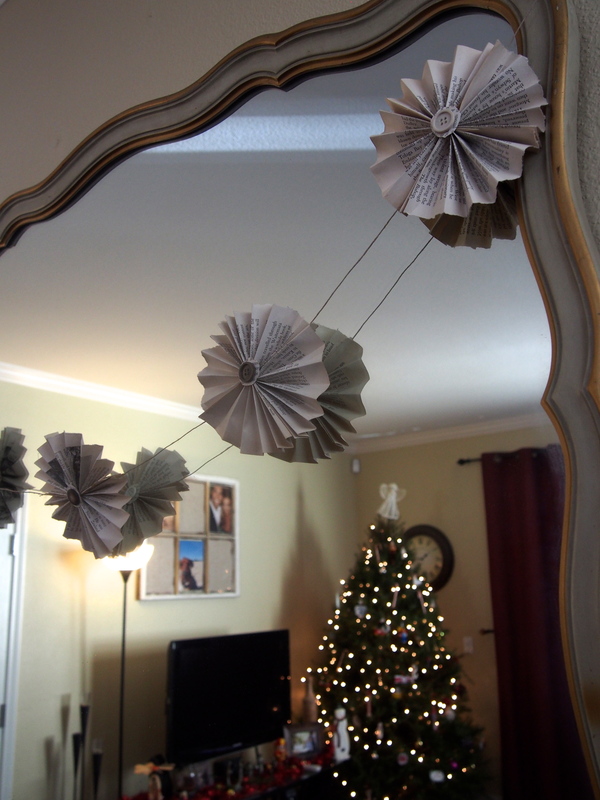 This is a fun alternative to snowflakes too- just add some glitter! 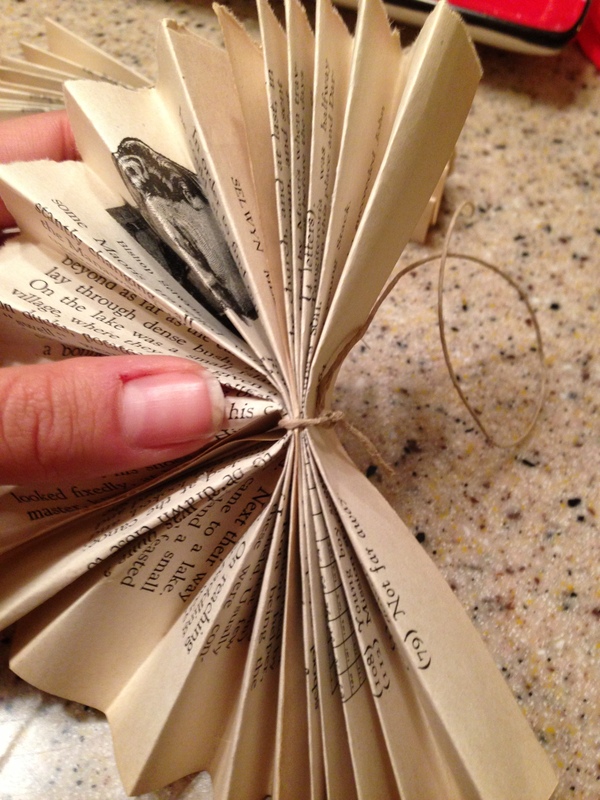 Fold your book page like an accordion and tie string in middle. 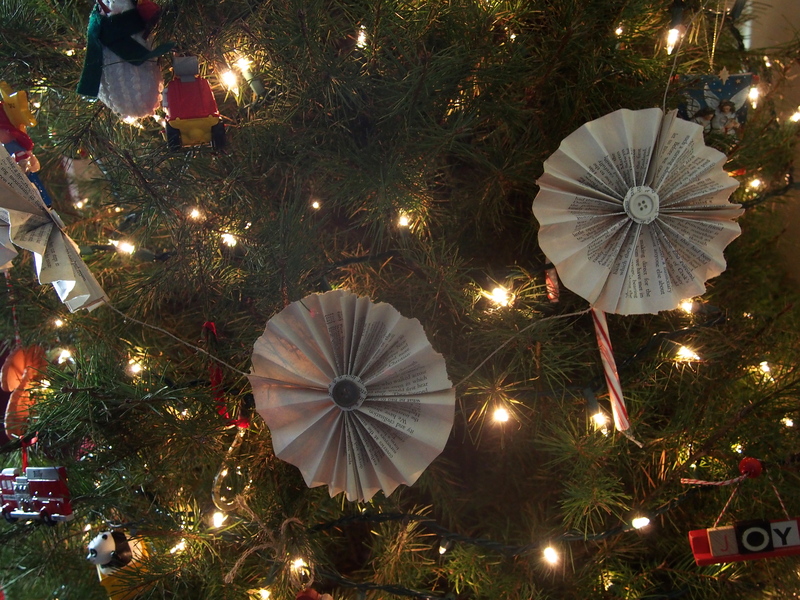 Fan the pages out to meet each other. Hot Glue both ends to each other with the string to the next pinwheel in between to make a continuous strand. 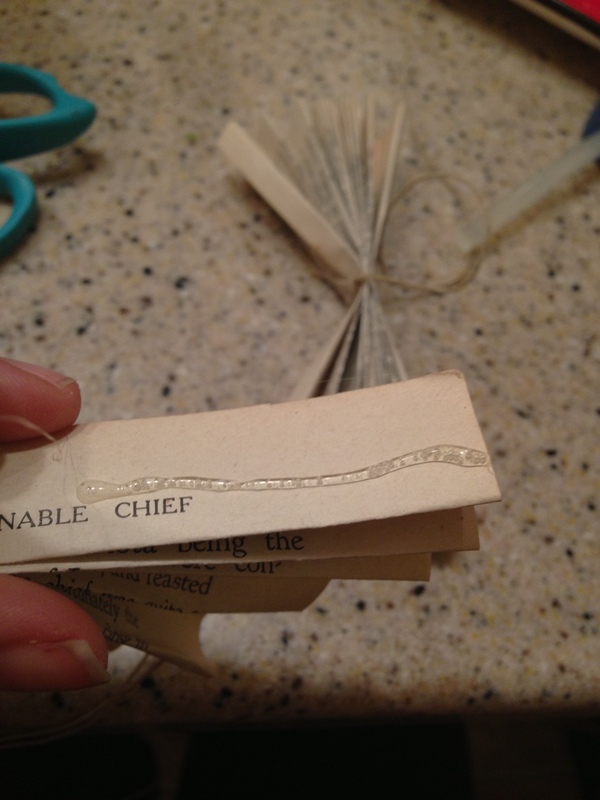 Cut out a circle of the book page a little bit bigger than the button you want to use. See how cute it is?? 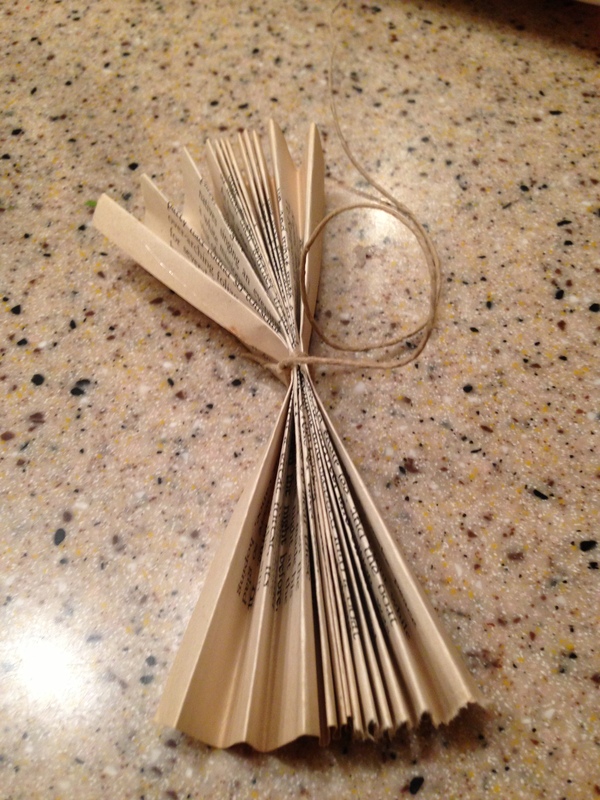 To make this more festive you could use colorful ribbon and buttons or even dip the edge of book in glitter to bring the holidays to this craft. Could also be cute on your mantle! 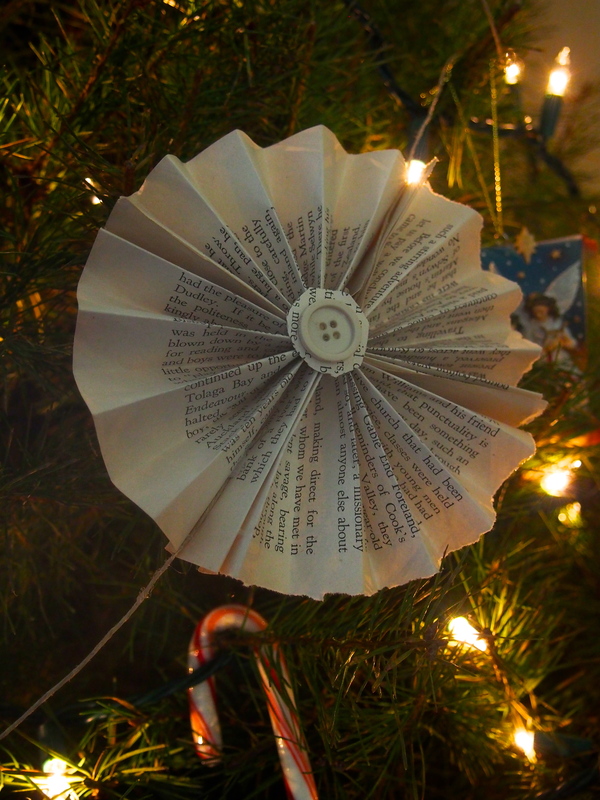 For just the plain paper you could also dip paper in tea or coffee before for a more aged look- even burn the edges! Another cute option is to not do the buttons and do letters in center- spell “Love” or your Last name or something fun!